Editor’s Note: This updated report nullifies our earlier breaking news on the appeal court decision. The court gave no directive to INEC. The Court of Appeal in Sokoto did not order the Independent National Electoral Commission (INEC) to accept candidates from the All Progressives Congress (APC) in Zamfara State. This development differs from our earlier report which suggested that INEC has been ordered to accept candidates fielded for various positions by the party in the state. Rather, the three-member panel of the court gave an order through Justice Jummai Sankey dismissing a suit filed by a member of the House of Representatives, Aminu Jaji. The suit was challenging the ruling of a high court of Zamfara State which ordered INEC to accept candidates from the APC. Mr Jaji, one of the governorship aspirants of the APC, approached the court of appeal to inform it of his decision to withdraw the suit. Following his request, the court dismissed the suit based on its rules and the request of the plaintiff. “That the appellant, having met all the conditions for the withdrawal of the appeal as set out under order 11, rule 1. This appeal under No CA/S/23/2019 is hereby dismissed pursuant to order 11, rule 5 of the court of appeal rules 2016”. Mr Jaji asked the Sokoto Division of the Court of Appeal to nullify the judgement by the Zamfara State High Court which had directed the Independent National Electoral Commission (INEC), to accept candidates from the APC. At about the same time as the Zamfara high court ruling, another high court in Abuja also ordered INEC not to accept candidates from the governing party in the state. INEC announced that it decided to comply with the order of the Abuja court. INEC had declined to accept APC candidates in Zamfara State because, according to the commission, the party failed to meet the deadline for holding primaries. 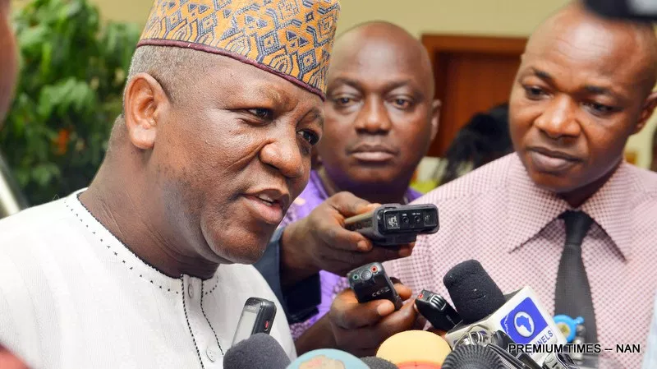 Ibrahim Dosara, a spokesperson for Abdulaziz Yari, governor of Zamfara State, had, in a message sent to PREMIUM TIMES, claimed that by Wednesday’s dismissal, the judgement by the Zamfara State High Court stands. He also claimed that the appeal court’s decision means the court gave INEC the order to include Zamfara State APC candidates in the forthcoming election. Contrary to Mr Dosara’s claim, however, the appeal court only dismissed the suit but gave no ruling. This means both the earlier Zamfara high court ruling and the contrary Abuja court ruling still exists with INEC choosing to obey the latter.